Anu joined Spinverse as a project manager in September 2015. She is helping companies to get EU Horizon 2020 funding for their innovative ideas and helping in managing the EU projects. Anu holds a M.Sc. degree from Helsinki University of Technology, where she studied graphic arts and paper making technology. In addition, she has taken Tieturi’s Professional Project Manager Training Programme and she is a certified project manager (IPMA, Level C). 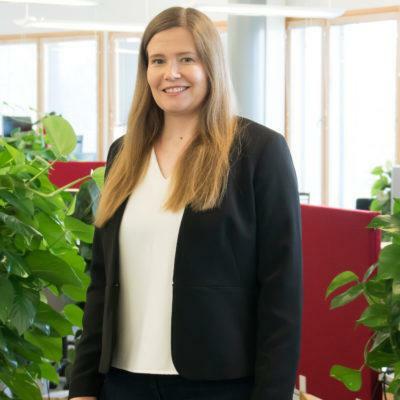 She has worked earlier at KCL Science and Consulting as a research scientist and prior to Spinverse at VTT Technical Research Centre of Finland as a senior scientist. Her working topics have concerned graphic printing, printing as a manufacturing method, biotechnology, biopolymers and nanomaterials. She has a strong experience in project management and EU and TEKES project preparation. The majority of the projects she has managed, have dealt with new product/concept development. On the freetime, Anu enjoys cycling, gym training, cross country skiing, sailing, good food and wines.